In 2002, close to 75 years after the purchase of the famous First Growth estate, Chateau Haut Brion by Clarence Dillon, created an affordable Bordeaux appellation wine, Clarendelle. 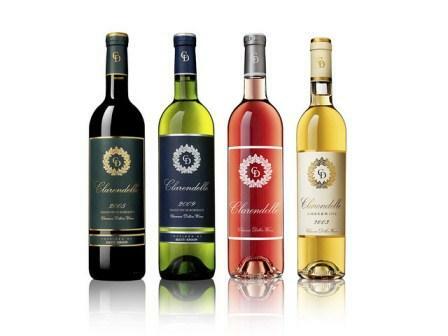 Clarendelle offers consumers a full range of value priced, Bordeaux wines that include a red wine, white wine, rose’ and a sweet Bordeaux wine. CIn 2014, they expanded their production with the addition of 3 new wines. On average, the red wine of Clarendelle is made from a blend of 82% Merlot, 13% Cabernet Sauvignon and 5% Cabernet Franc. However, the blend will change, depending on the character and quality of the vintage, and of course the specific wine. The grapes are from vines planted in various Bordeaux regions including, St. Emilion, Haut Medoc and Pessac Leognan appellations.nA portion of the fruit comes from Chateau Haut Brion, Chateau La Mission Haut Brion and Chateau Quintus. Starting with the 2014 vintage, Clarendelle added 3 new wines to their portfolio of red wines, Clarendelle Medoc, dominated by Cabernet Sauvignon, Clarendelle Medoc, which is mostly Cabernet Sauvignon blended with other Left Bank grape varieties and a Right Bank wine, Clarendelle Saint Emilion, which is produced using a high percentage of Merlot. Clarendelle also produces a dry white Bordeaux wine that comes from vineyards planted to a mix of blend of 64% Semillon, 24% Sauvignon Blanc and 12% Muscadelle. The fruit is from vines planted in Pessac Leognan, Graves and Entre Deux Mers appellations. The blend can vary quite a bit, depending on the vintage conditions. With the 2016 vintage, the labels for Clarendelle were updated with new art that was inspired by the labels for Haut Brion Blanc. Clarendelle also produces Clarendelle Amber, an affordable, sweet, white Bordeaux wine from the Monbazillac region, located not far from the famous appellation of Sauternes. This sweet, white Bordeaux wine from Clarendelle is often produced from a blend of 80% Semillon and 20% Sauvignon Blanc. Although some vintages can include a percentage of Muscadelle as well. Clarendelle also offers a rose’ wine in their line up as well, which is produced from typical red Bordeaux grapes. Clarendelle is vinified to drink well young, In fact, it is quite delicious on release. Should you wish, young vintages can be decanted for 20-30 minutes or up to 1 hour. This allows the wine to soften and open its perfume. Older vintages might need very little decanting, just enough to remove the sediment. Clarendelle is usually best within 2-7 years after the vintage. Clarendelle Clarence Dillon red wine is best served at 15.5 degrees Celsius, 60 degrees Fahrenheit. The cool, almost cellar temperature gives the wine more freshness and lift. Clarendelle is best paired with all types of classic meat dishes, veal, pork, beef, lamb, duck, game, roast chicken, roasted, braised and grilled dishes. Clarendelle is also good when matched with Asian dishes, rich fish courses like tuna, mushrooms and pasta. The white Bordeaux wine of Clarendelle, Clarence Dillon is perfect to serve with all types of fish, seafood, sushi, sashimi, shellfish, chicken, veal and cheese. The production and marketing of all the Bordeaux wines from Clarendelle is managed by much of the same team that produces Chateau Haut Brion and Chateau La Mission Haut Brion in the Pessac Leognan appellation as well as Chateau Quintus, the newest acquisition by the company, located in St. Emilion in the Right Bank of Bordeaux. The team is headed by Jean-Philippe Delmas, the director of Haut Brion, and all the other Clarence Dillon properties. Light, bright and fresh, enjoy this yellow citrus filled summer quaffer in the first year or two after it hits the shelf. A medium-bodied, bright, fresh and soft-textured wine, replete with a dark cherry profile that will be best during its fruit-oriented formative years. A perfect example of a wine of pleasure. Forward, not really complicated, but offering some secondary tobacco and fruit notes, a medium body and a fruity finish. This is a wine to drink early in its life. Fun, summer wine with fresh, bright, citrus and a hint of nutty flavors in the finish. Ready for the dinner table tonight, this is light, soft, open and easy to drink. You already find hints of truffle, tobacco and ripe, plummy flavors. This is a perfect Bordeaux for restaurants. Light, easy drinking, fun, Merlot dominated, daily drinker that is uncomplicated, yet fruity and open. Already showing secondary notes of tobacco along with its red berries, this medium bodied, light, red berry oriented wine will be best consumed in its youth. Likable, easy drinking, medium bodied and already open, with a bit of tobacco and oak on top of the black cherry notes. A nice, well priced value wine with character.